Lauren Steadman has inspired millions of Britons by competing on the 2018 edition of British TV show Strictly Come Dancing with partner AJ Pritchard. The paratriathlete is now hoping to inspire thousands more as she fronts ‘Tri January’, a new campaign encouraging people to try a multisport challenge in the New Year. Reigning ITU Paratriathlon World Champion and Strictly star Lauren will be joined by Deborah James and Lauren Mahon from BBC’s award winning ‘You, Me and the Big C’ podcast, along with BBC TV sports presenter and ‘world record holder for trying his hand at the most sports’, Mike Bushell. Participants are encouraged to grab their workout gear and give whichever distance suits them most a try. There is no set formula for completing the challenge, as long the distance is achieved in the month of January. 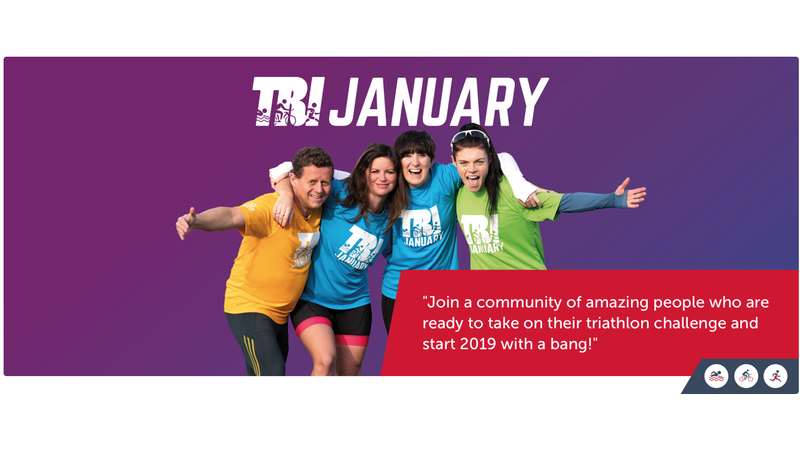 Tri January aims to engage new participants and those with a ‘revolving door’ relationship with sport and physical activity with fun and accessible challenges, triathlon-style. Sign up for free from Wednesday 2 January 2019 and receive a free Tri January campaign pack in December to help keep on track, with a Tri January wall chart, stickers, diary inserts and other goodies from British Triathlon.